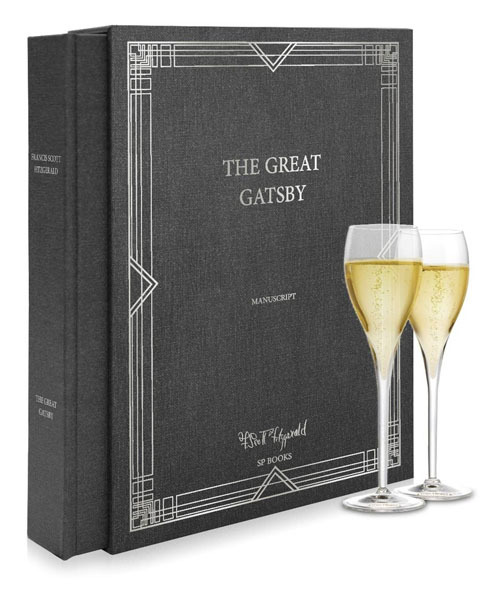 A new edition deluxe of F. Scott Fitzgerald’s The Great Gatsby handwritten manuscript will be released in a large format, luxury cloth bound boxed edition November 2017 for $249. Readers will be able to see iconic chapters re-written and re-worked in Fitzgerald’s own handwriting. Did you know when Fitzgerald first started writing, “Daisy” was named “Ada” and “Nick” was “Dud”? This is the perfect gift for a student, collector, literature lover, or connoisseur of the jazz age. With these words, written to his editor during the summer of 1922, F. Scott Fitzgerald began planning his magnum opus: the great American novel of the 20th century. The young author knew Gatsby would be his masterpiece. He worked relentlessly for more than three years, shaping his text in layers­ — grappling with everything from the novel’s setting to the order of its chapters, and continually reconsidering his choice of words. Editions des Saints Pères (SP Books) will publish the original 302-page autographed manuscript for a limited number of collectors this November. Throughout its handwritten pages, the novel’s characters are sketched, revised, and born. The manuscript is full of surprises. Entire scenes are extended. Passages are crossed out while others are added with a carat. Lots of details change. The main difference is that Jay Gatsby’s character appears more mysterious: the story of his rise to wealth isn’t revealed until the very end of the manuscript. Hand-numbered from 1 to 1,800, each book is presented in a 14×10 inch slipcase bound, and sewn using only the finest materials. The slipcase and cover ornamentations are iron gilded, and the pages are printed using vegetal ink on environmentally friendly paper. Because you can never have enough love, Yoko Ono designed this uplifting and magical bean plant for her friends at LongHouse. The directions are simple and when followed to a T, your plant will emerge within 5-7 days. Once your bean sheds its brown shell, ½ reads the word “Love”, the other half is inscribed with a heart that has an arrow going through it. All this delightful bean on a vine requires is a minimum room temperature of 68 degrees and daylight so it’s ideal for those who are rarely home. 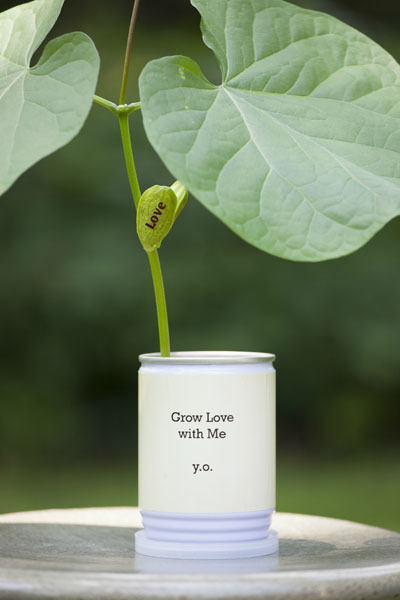 Charming and inspiring, Grow Love with Me by Yoko Ono is a perfect and unique gift! LongHouse Reserve exemplifies living with art in all forms. Founded by Jack Lenor Larsen, its collections, gardens, sculpture and programs reflect world cultures and inspire a creative life. LongHouse Reserve is a 16 acre reserve and sculpture garden located in East Hampton, NY, featuring pieces from Buckminster Fuller, Yoko Ono and William de Kooning to name a few. Mercado Global’s latest day-to-night wristlet is a great gift for under $100. Looking for a gift for him, Mercado Global has the Nicolas Wrap. The soft raised-texture black and natural stripe handwoven cotton scarf has knotted fringe ends. Mercado Global is a social enterprise with an innovative approach to fighting poverty and empowering women in rural Guatemala. By providing business development support and connecting artisan cooperatives to sales opportunities in the U.S., Europe & Asia on an unprecedented scale, Mercado Global is helping its partner artisans to be a source of change in global sourcing practices. Each Mercado Global collection starts with a journey to the highlands of Guatemala where our designers partner with indigenous women artisans to develop unique pieces that combine Mayan craftsmanship with modern design. From one of the most marginalized populations in the world, our partner artisans are rising to become leaders in their communities and are sending their children to school, often for the first time.